DTW has been taking a look at old, large saloons. 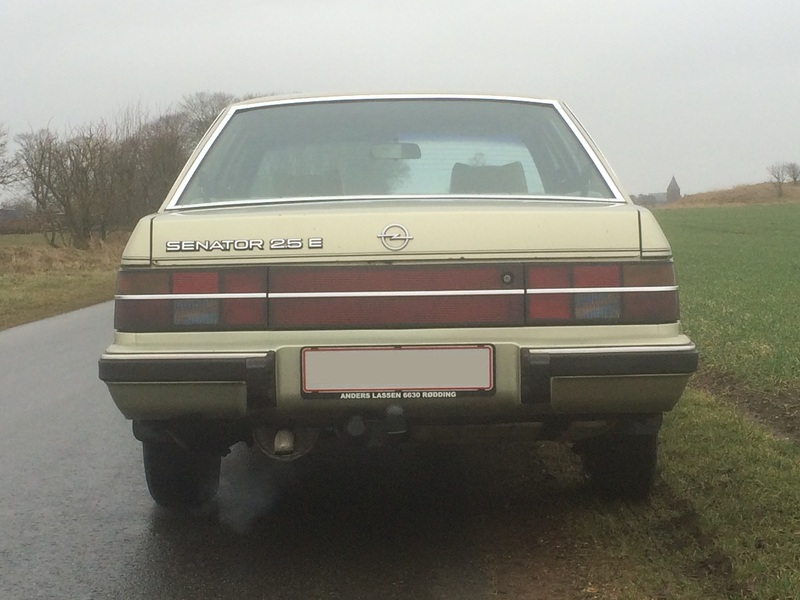 Recently a 1984 Opel Senator was been subjected to a small test. Read on to find out what was found out. Every time one has a reason to discuss the large cars from the 70s and 80s, the large cars that aren’t BMW, Mercedes or Audi, one seems obliged to talk about the status and success of these products in comparative terms. It seems incorrect to speak of the Granada, 604 or Senator without mentioning how they fared relative to the BMW 5 et al. I’ll avoid re-treading all that ground again. By now even I admit that you would need to be very determinedly prejudiced to deny that the W-123 Mercedes Benz is the clear winner of that long term battle. The W-123 is the definition of a high quality passenger saloon, the saloon car to end all saloon cars. I’ve seen these machines up close – we all have – and every visible element is made of some class of entropy resistant material, from the dwarf star chrome on to the NASA-class door seals and then to the cloth with an infinite Martindale value. That’s why they are still on the road and that’s why they are still worth money. So, yes, noted. The W-123 is great and that’s that. Is there any reason to look beyond Stuttgart? Maybe you don’t want to drive the same classic car as everyone else. And what if you are prepared to trade Mercedes’ bullet-proof/bank-vault/billet-solid [delete cliché after your preference] quality for some other less material benefit? The Mercedes was well built but it was also not so very nice to drive. So what are the alternatives? If you really must have some other medium-large car, the field is broad. For decades this was a very healthy market with lots of entrants. In fact the early 70s was a boom period as various makers went chasing the executive customer. Ford used to shift millions of Granadas. Opel sold 1.4 million Rekord Es. Even Renault sold 700,000 of their 20 and 30 series cars. I say the field is broad but in theory more than reality. The numbers of the also-rans that remain on the road are unimpressive, especially here in Denmark. Of all those cars made, the vast majority are gone. It has taken months of looking to find a worthwhile vehicle to test. Opel’s entrant in this sector was the Senator, today’s test car. The Ruesselsheim firm offered two series of the Senator, one from 1978 to 1986, and another from 1986 to 1993. The first series took the Rekord E, equivalent to a low-series Granada, as its start point. To make the Rekord into Senator it was made longer (mostly at either end) and had different interior trim, and unique front and rear exterior styling. The glasshouse featured extensive brightwork and a reworked side glass and C-pillar treatment. These modifications were intended to produce a luxurious but good value car that would compete with the top end Granadas, Rover SD1, Peugeot 604, BMW 5-series and the W-123. Conceivably even some Jaguar customers might have been tempted. The Senator’s layout was once the industry norm. It was a three box saloon with rear wheel drive, a 3-speed automatic and a straight-six cylinder engine with Bosch electronic injection (introduced in 1983). Initially Senators were sold only with six cylinder engines but towards the last half of the car’s career, the smaller engines from the Rekord E were also made available (a move Peugeot could have considered for the 604 but didn’t). The version I tested was a 2.5E with the camshaft-in-head engine. The suspension uses McPherson struts up front and at the rear are trailing links which system was used on the Mercedes W-118, Austin 3-litre and Peugeot 504 as well as the Ford Granada. For the series 2 facelift , the Senator A2 had lost its frontal chrome trim and was smoothed off with new bumpers: this also reduced its cD to 0.39. It´s still not an aerodynamic car though. 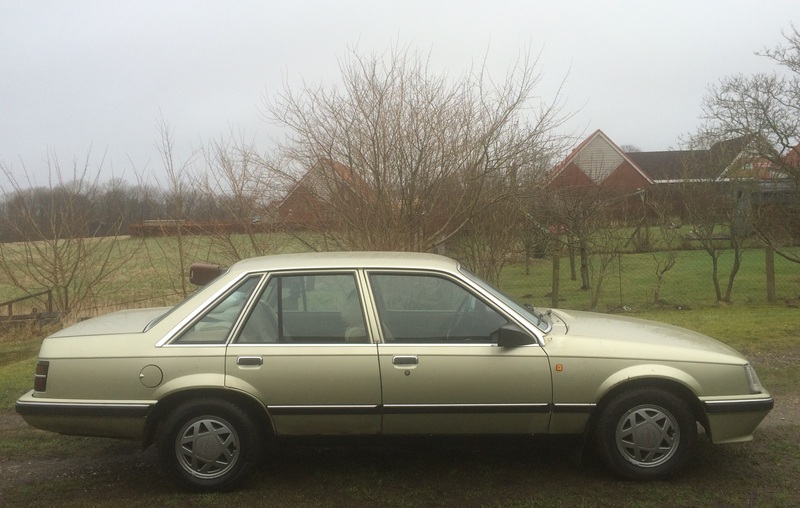 Citroen´s CX had a cD of .034, by comparison. On a more subjective basis, looking at the car in question, I saw a mildy worn but dirt-free example in pale greeny gold. The car was imported from Germany at the end of the 90s and one owner looked after it for most of the time. They could not stop superficial rust nibbling here and there, mostly around the flanges on the bodywork edges. This is the sort of thing the legendary W-123 resists. The Senator’s hood is a fabulously heavy sheet of steel with no struts to support it. You lift the many kilos up all by yourself and hope no stray fingers are around. The engine bay is superbly free of clutter. There sits in the bay a huge metal loaf dead centre, aligned longitudinally in front of you. That’s the straight-six of 2.5 litre capacity. For anyone who has only seen modern engine bays this looks either refreshingly straightforward or worryingly agricultural. I like it. The set-up looks simple to repair and robust; pleasingly analogue. 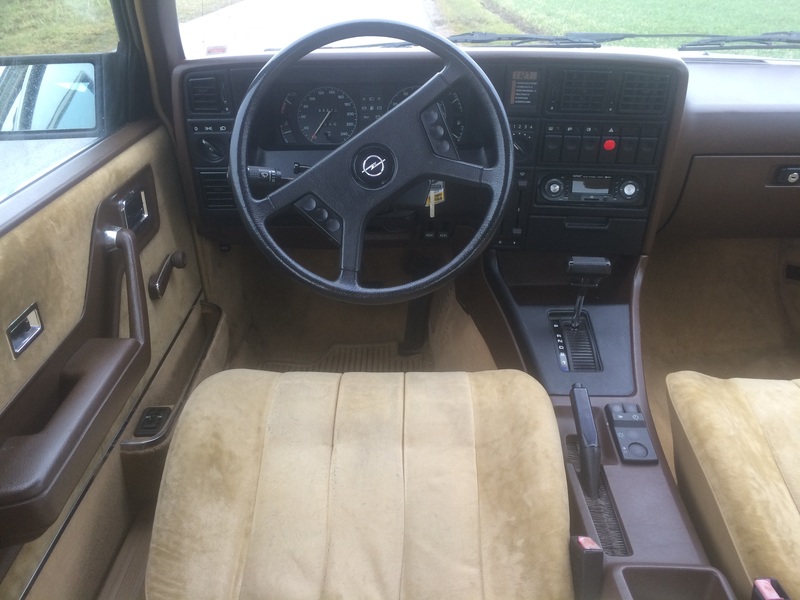 1984 Opel Senator 2.5E dashboard: very square but very neat. After taking a look at the voluminous boot with its unfashionably high sill, I got into the car and took some moments to get used to the sensory disconnect. The Opel is in one way a large car. It looks big from the outside and looks big when seen in isolation. When you sit inside you feel very close to the door as in a smaller car though. Then there is an openness to the interior created by all the space between fittings and the space from driver to passenger and from the distance from driver to the passenger door. By comparison modern cars are either very snug or over-furnished. Our cars now are full of trim. I like the Senator’s ambience and the relaxing quality of the broad, yellow velour seats. There’s no centre armrest for the driver, alas. Back to sensory disconnect, the Senator feels very dense indeed. These days it’s about the same size as a Focus saloon but that car feels lighter. The reported weight of the Opel is in the 1,500 to 1,600 kg range and most of this weight is metal and glass. The feeling then is of hardness and of things fitting close together. Describing the sensation of driving a 30 year old car (with roots in the 70s) is not that easy. For a start, my immediate reference was a brand new Fiat 500 I had rented for my trip. Trying to assess red wine after gargling cola is not ideal. What one really needs to do is to compare the car to its peers or try to judge it in isolation. The engine started up with a healthy and very mechanical roar. There is no engine creep when you push the automatic into D. I pressed the floor-hinged pedal a little too enthusiastically and the rear wheels spun. My impressions are that the engine required more poking than I’d have expected. It growls and makes a fine noise but doesn’t react as quickly as I would have expected. I drove the car over narrow country roads on a wet and windy day. The manners of the car suggest that it is a vehicle to drive carefully at all times. A recirculating ball steering system is used which helps to eliminate kickback from the road but also creates a floppy feeling around the straight-ahead. Car described it as “somewhat lifeless” in 1978. Perhaps with experience I would get used to the Senator’s behaviour; initially it was something I felt required caution. I think the car is one that could easily be made to slide or, worse, it might slide when you don’t want it to. So I braked early and accelerated out of corners. It put me in mind of the Lancia Thesis I tested some years back. The Senator in automatic form is a servant not an entertainer (not in a dynamic sense). In 1978 Car’s view was the Senator was the most reassuring and rewarding to drive compared to the BMW 730 and Alfa Romeo 6. That makes one wonder about how the other cars were. Outward visibility is superb all around. The slim C-pillars help in this regard so that when you look over your shoulder at a t-junction, you can see what is coming. It’s a very pleasant characteristic. Turning to the car’s showroom quality, one can’t help but admire the cheerfulness of the soft velour which covers the seats and doors. Though somewhat faded it has held up well. The chrome fittings and brown plastic are all part of the car’s period charm. Alas, I know that the car I am testing is not the top of the Opel tree. The 3.0 Senator came with wooden door cappings, rear head restraints and an opulent green or blue material which for me would make the car irresistible. I bet it had a centre arm-rest too. On the other hand, the car in question is not one you’d be afraid to use respectfully as it’s not a museum piece to be driven with white cotton gloves on dry summer Sundays only. It is in the matter of plastics that you can see the W-123’s clearest perceived quality advantages over the Opel. 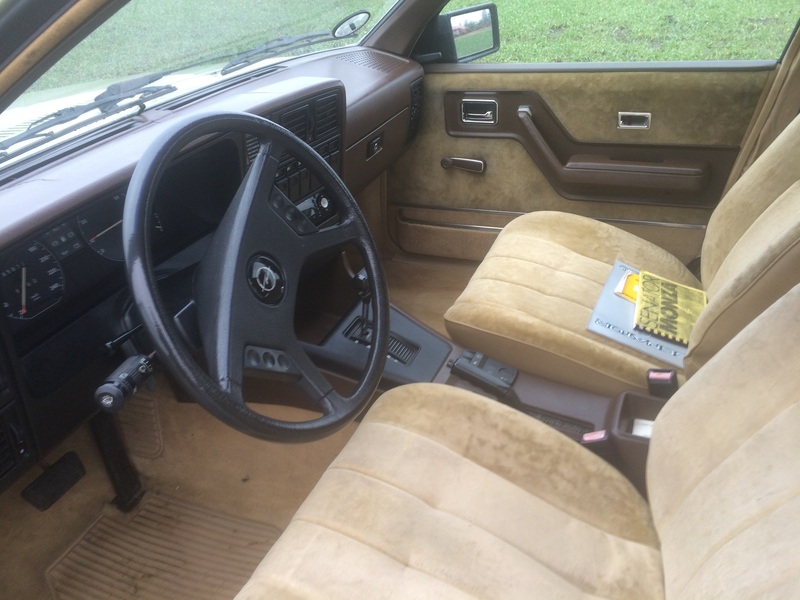 Looking around the car there are areas of incorrectly matched plastics that you don’t find in a W-123; the driver’s ashtray has a squeaky zinc spring and the glove box lid sounds hollow when it shuts. This is trivial stuff and you’d forget it on a day to day basis yet these little details are the ones that generate the long-term impressions. The smell: engine oil and old plastics. How evocative. The noise: the engine feels very nearby and the sound is loud. While driving you are very aware of more vibration and of machinery working not so far off. I didn’t mind this at all as it reminds you that you are in a machine from a different time. It is not anaesthetic. I can’t offer any data on things like fuel consumption but reports suggest it likes to have a gallon every 20-25 miles. The boot is nice and large. 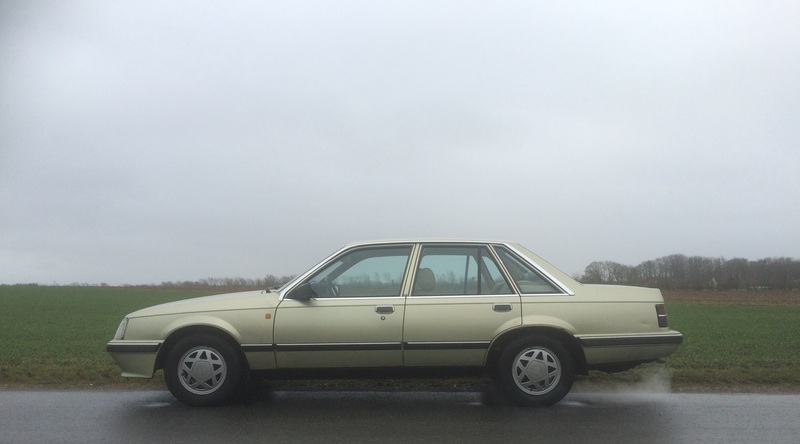 Can you live with a thirty year old straight six, automatic, rear drive, near-luxury saloon? In isolation, yes. 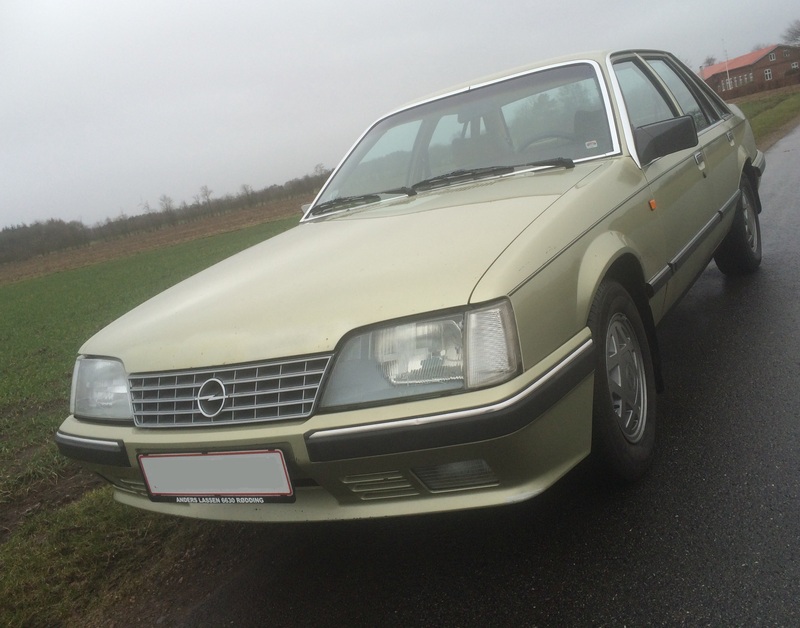 The Opel offers clear advantages over the Granada, for example, in that it seems to be a better made car. And in status terms, the Granada came in a wide range of body styles from 2.0 L to 3.0 Ghia spec whereas engine and interior differences plus nicer styling separate the Rekord E from the Senator. The difference was reduced somewhat when the Senator A lost its chrome in 1982. Again, the ultimate Senator is not this 2.5 E phase 2 car, but the full-fat chromed 3.0 “A” series. I don’t mind the rusty edges but I do mind the fact that I know there is an even nicer Senator out there. Perhaps the most surprising thing that makes me think twice about what is a very affordable car that needs no work, ready for immediate use, is the rear accommodation. How did Helmut Kohl like this compared to Granadas, 300Es and Audi 100s? The theme of the month is passengers. And it’s in the back of the Senator that you can see the disadvantage of basing the car on the Rekord. The wheelbase is nearly the same in both cars. 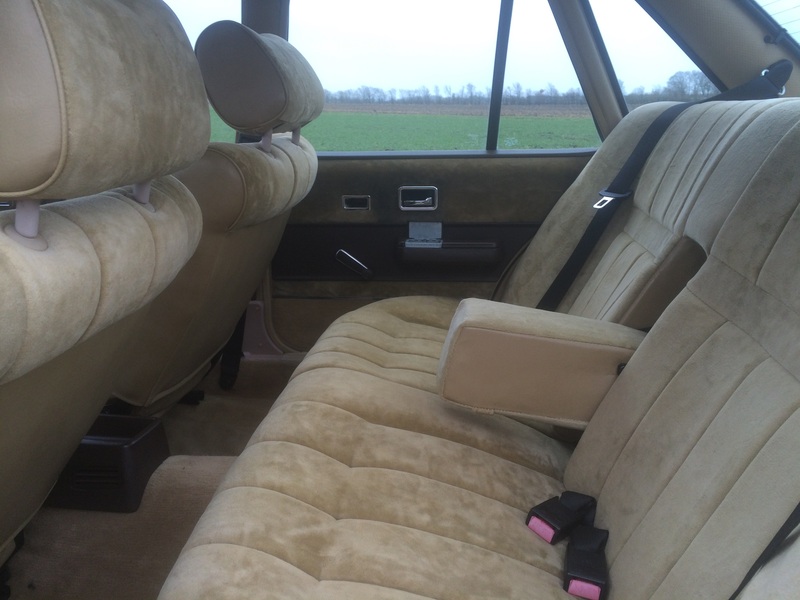 The rear leg room is thus not what you’d expect and Car too thought this in 1978. I don’t think anyone would be uncomfortable in the back of the Senator. It’s better than the E12 BMW 5 and the Alfa 6, the equal of the Benz. The seats are very cossetting. Yet I think it’s not a car in which you’d sprawl on a long journey. You should sit upright and try to find a way to deal with the small and oddly positioned ashtry. I really wish it was more spacious because here the Senator’s other enemy, the Peugeot 604, hoves into view. That’s a car for passengers. And it’s steering is on record as being better. If you can get past the existence of the Mercdes W-123, which you have to if you are going to go and test a Senator, you’ll find a very agreeable car. Some of the qualities are to do with historical accident: the passage of time has killed off straight sixes so the Opel can provide what a modern car can’t. The same goes for the airiness of the car. Almost any old car is airier than a modern one. So what is it about the Senator in particular that appeals, compared to the other possible contenders? I suspect that the Senator’s material and fabrics are among the best after the Mercedes. The engine is a strong and reliable unit that sounds great. Most of the other cars in the class offered V6s. The gearbox is smooth and the car looks decisively more impressive than Ford’s admittedly very good Granada of the same period. On balance and adding it all up, I think that the Senator 2.5E lacks that extra something though, the particular element that gives absolute appeal, rather than appeal relative to its peers. I’d certainly like to live with a Senator for a while but I am not sure it’s quite good enough (in 2.5E form) to gain the gold medal. As a counterpoint, it’s worth remembering that the car exists in quite good numbers compared to its peers which might give a hint that if you did get into a Senator, you’d not regret it. It’s a survivor. Nice review. You wrote: ‘I drove the car over narrow country roads on a wet and windy day. The manners of the car suggest that it is a vehicle to drive carefully at all times.’ What do you think makes a car of that time feel that way? The lack of electronic assistance for brakes, traction etc., or just that today’s cars, big or small, are incredibly cosseting? Thanks. It´s hard to separate what are the design characteristics of the car and what are the result of 30 years of use. On the wear and tear side I believe bushings and links get worn. This creates play in the suspension elements and that means they are not so controlled. The car´s contact patch worsens. In addition I suppose the body does´n´t react as it should to inputs as the system´s springiness departs from the design ideal. If I could test a brand new Senator I suppose I´d notice that as designed the suspenions differs from modern ones by dint of three or four decades of accumulated wisdom, the kind of thing that´s hard to write down and which lies in the minds of suspension engineers and production engineers. That rear suspension design sounds antique and is probably very simple compared to something found on an Insignia or E-class. I am not being glib or trying to evasive when I say this kind of informtion is hard to come by and probably jealously guarded. What I can do is jolly well go and read a book on car engineering. Julian Happian-Smith´s book leaps to mind but there are one or two others I could usefully consult to anwer your question. One factor in driving an older car is tyres. Some old cars end up doing just a couple of thousand miles a year, possibly a fair amount less. This means that they can end up with a set of 12 year old tyres, still with generous tread, but far more brittle and less flexible than they should be. As a rule, I’d be wary of any tyres over six years old. Not only are they at risk from failure, but they often have significantly diminished roadholding. When I bought my Citroen it still had the original tyres, high spec Michelins but 23 years old. They weren’t too bad in the dry but awful in the wet. My Audi had its tyres changed about 5 years and 10,000 miles before I bought it – there was a lot of tread but, looking at the date stamps, the tyres were actually 10 years old – they had obviously been hanging around a warehouse. When I changed the tyres on both cars, they were transformed. Another factor is that older cars often get fitted with whatever tyres the owner can find at a good price – sometimes they are entirely unsuitable. This car had new tyres. I don’t know what make though. As a post script: I found a 1980 group test of the Vauxhall Royale, Ford Granada, Peugeot 604 and Renault 30. What Car felt the Vauxhall did not stand out in any one area, all the other cars had a USP. But as a result of its all-around competence and lack of demerits it won the test.”It proves how good results can be achieved through simple, honest engineering, the excellent ride/handling compromise being a case in point. It´s a car that commands great respect rather than generating excitement, a formula that has proved succesful for the Royale´s closest equivalent, the Mercedes-Benz.” That was back in the day when there were only three MB cars so we all know which one they are talking about…..